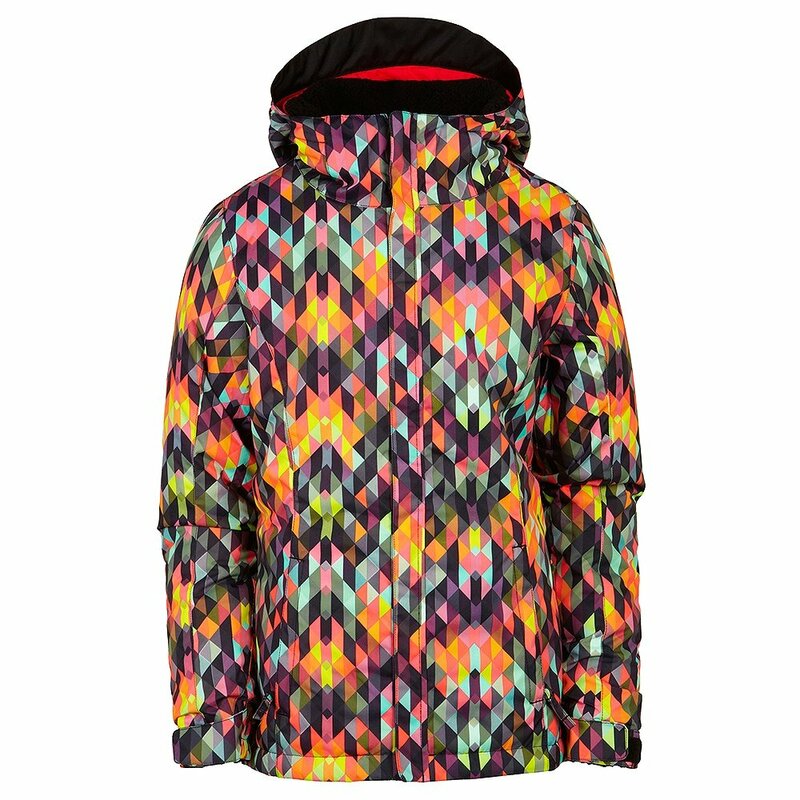 Big-time protection rolled up in a jacket that's sized and styled for young riders, 686's Girls Flora Snowboard Jacket is ready to help her progress. This solid jacket dials up an eight out of 10 on the warmth scale with its mapped Polyfil insulation package. The 10K/10K infiDRY® fabric keeps weather out - unless she pops the Air-Flo™ vents to let the cool breeze in. Her lift pass and goggles enjoy dedicated pockets, and a powder skirt keeps snow out of the interior.